Maintaining your vehicle means bringing it in for scheduled maintenance. 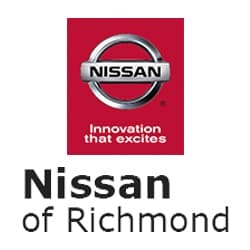 And what better place to bring it than to the friendly and helpful staff at Nissan of Richmond. We are ready to answer your questions or help you schedule service for you Nissan in our state-of-the-art facility. Feel free to contact us when you’re ready to visit our service center. We always offer rotating tire coupons, brake service coupons, and even parts couponsto Richmond drivers. Your Nissan is your lifeline to the roads of Glennallen, so it’s important to ensure that it’s in top shape and ready to take on the road. Our Nissan service hours are 7:30 AM – 7:00 PM Monday through Friday and 8:00 AM – 6:00 PM on Saturday. Our Nissan service department is closed on Sundays. What Car Service and Maintenance Do We Offer? Overall, our highly-trained technicians best know your Nissan and can get it up and running in no time. Be sure to browse our parts and service specials before stopping in to see how you can save on our services and more. Contact us today if you have any questions or when you’re ready to come in for routine maintenance.